Have you ever forgotten to pay a bill or missed a special event because you forgot? Don't let that happen again! 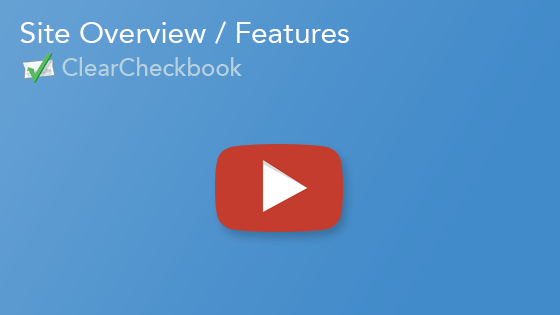 The Reminders and Recurring Transactions tool lets you custom schedule one time or repeating reminders. You can also associate transactions with these reminders so on a specified date, the transaction will get automatically added to your account. Want us to send you an email ahead of time? Just tell us how many days in advance and you'll receive an email reminding you of your event. 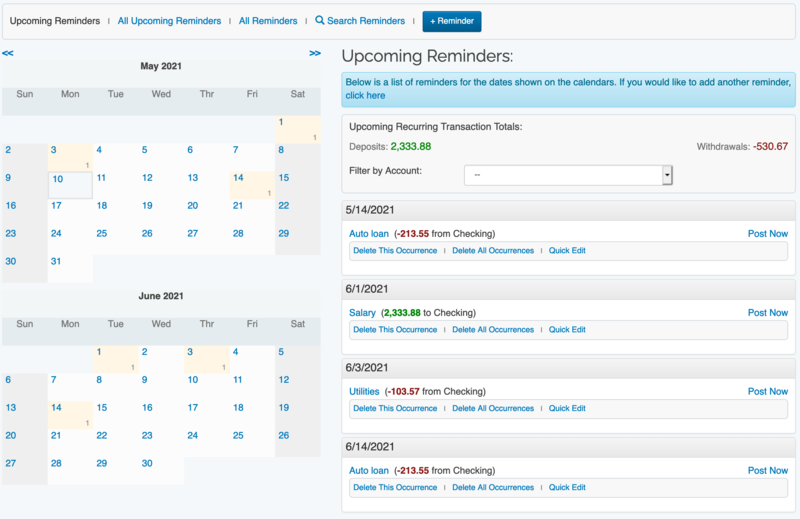 The Reminders and RecurringTransactions tool also syncs up with the Bill Tracker so you can automatically post your bills to your register when they're due. Does the amount change every month? That's ok! 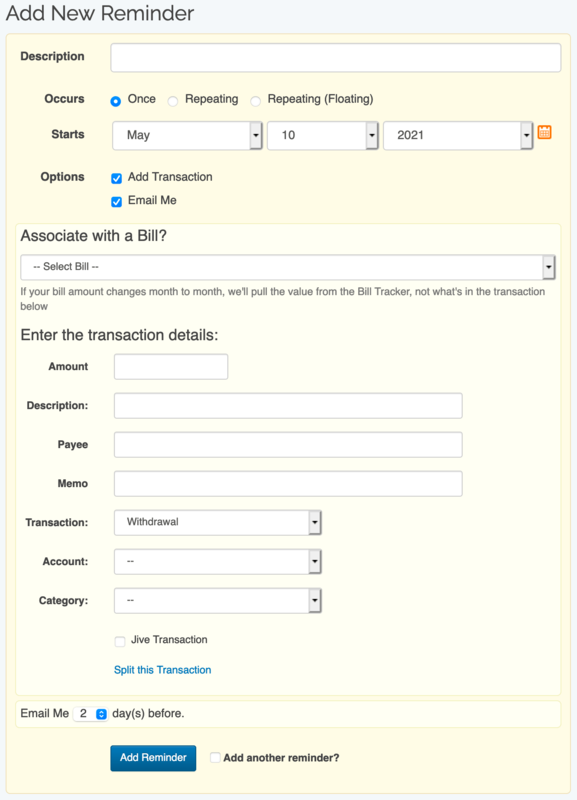 Simply change the amount in the Bill Tracker and the reminders tool will automatically know to pull the updated amount. We know some recurring events don't occur on the same day every month, so we give you the wide flexibility to create a recurring reminder to fit on any day you want. For example, you can have a reminder post on the second Friday of every month, or every two months on the 3rd, or the last Thursday of every month. The possible ways you can set up your reminder are endless. 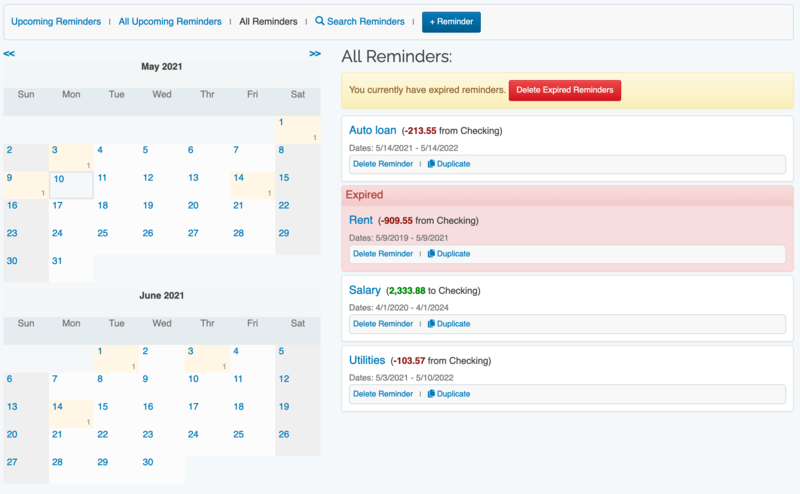 The Reminders and Recurring Transactions tool also provides a handy calendar so you can see what days you have reminders set to occur. You can move forward through time to see what dates reminders occur several months from now as well.